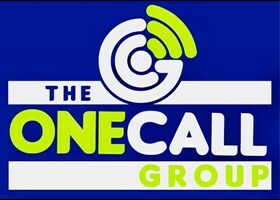 The One Call Group - Builder, Rubbish/Waste/Clearance based in Epsom, Surrey. Garden refurbishment. Artificial turfing. Turfing. Paving. Resin bound paths. Decking. Fencing. Shed erecting. Garden studio. - rooms. Tree surgery. Stump removal. House clearance. Garden clearance. Loft. Office. Building waste. Recycling. Trade waste. Fly tipping removal. Shed. Extensions. Conservatory’s. Bunkers. Garages. Property and Comercial rip out and clear. Building demolitions. We have all the right public liability insurances. Licenced waste carriers. And over over 17 year experience in providing out clients with a thorough service. ashtead, chessington, Epsom, Kingston upon Thames, New Malden, Redhill, Richmond, Surbiton, Worcester park. Putney. Fulham. Kew. Barnes. Reigate.esher. Cobham. Clatgate. Weybridge. Kt. Sw.